Jamaican patois contains many unique exclamations. Only a true Jamaican can understand the importance of this word or phrase to properly express the sentiments being felt at that point in time. 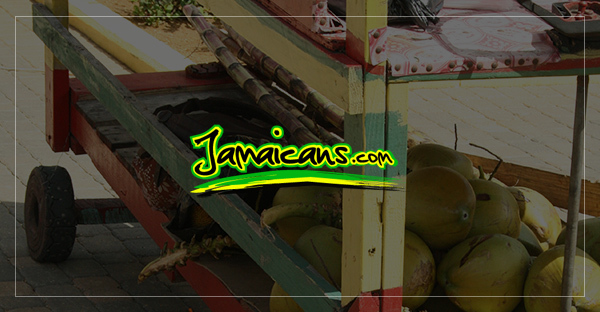 Take a look at these 10 exciting exclamations Jamaicans love to use. Exclamations Jamaicans love to use. 1. Jeezam! – You may have guessed that this is a reference to Jesus Christ, but a Jamaicanized version used to convey surprise. Similar expressions include ‘puppa jeezas’ and ‘faada gad’. 2. Boxcova! – The origin of this term is unsure but it is used frequently as an exclamation of shock. 3. Blouse and skirt! – Also an expression of shock and amazement and definitely not a reference to any type of clothing. 4. Kiss mi neck back! – No you are not being asked to kiss someone’s neck or back. This is just another expression of shock that is sometimes used to express amusement at a particular situation. 5. Rhatid! – This is most likely a cleaned up derivative of a popular Jamaican curse word. It is used to convey amazement, shock, or bewilderment. 6. Blow wow! – Conveys shock and surprise, but is definitely not a call to rain blows on somebody. 7. Me back foot! – Don’t start looking for the person’s hind legs. It’s just another over-the-top expression to express feelings about an over-the-top surprising situation. 8. Coo yah! – Meaning look here or look at this. Often times there’s nothing physically to look at, but used when something sounds too incredible or when someone is showing off and you don’t even want to talk what you know about them. 9. Wooiii! – A common expression usually accompanying a good laugh or a very amusing situation. 10. Cho! – An expression of frustration often used by parents contemplating the consequences of the beat down they’re about to impart. This list is by no means exhaustive and as the language evolves, Jamaicans continue to come up with new ways to express exactly how they feel in any given situation. What these expressions mean is really as important, using them at the right occasion and in the right context.